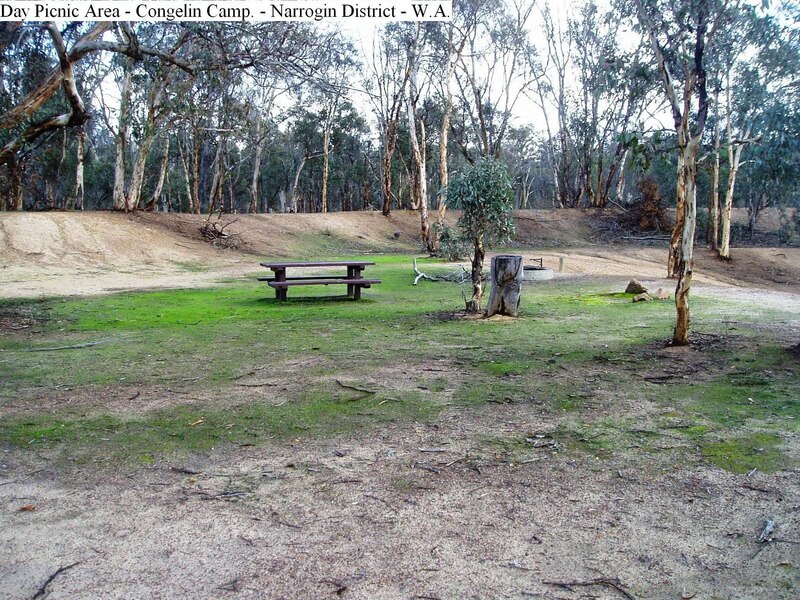 About 23k North of Williams via Williams / York Road is the turn off to Congelin Campground. 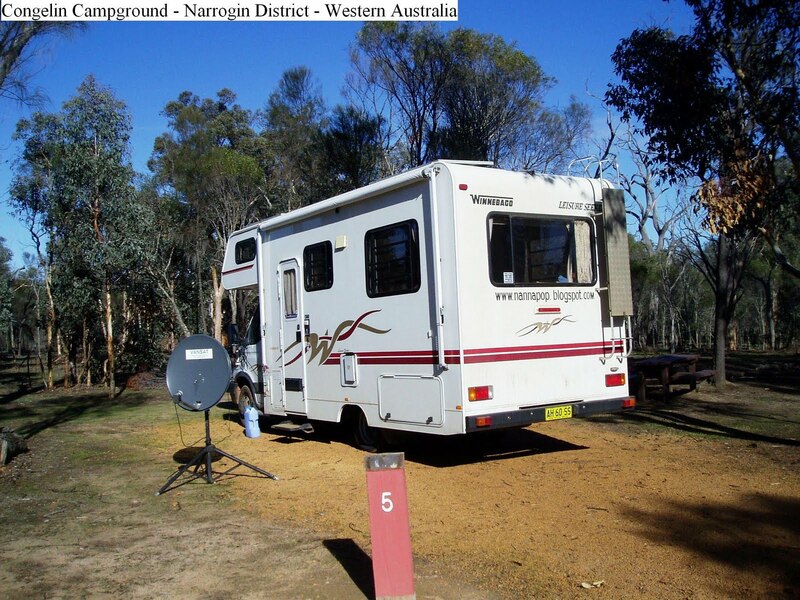 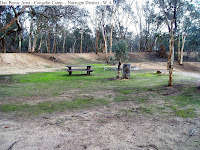 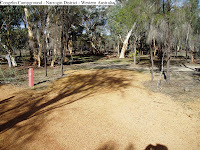 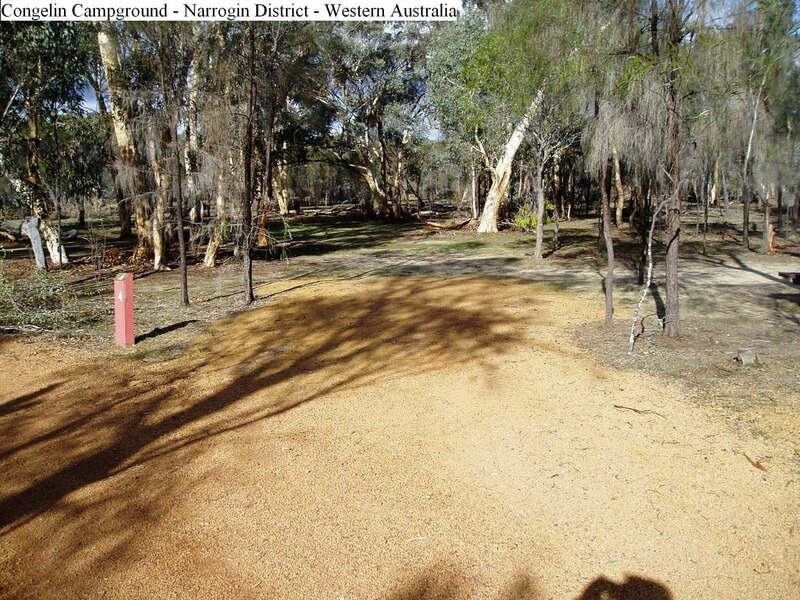 The last bit of road is unsealed but free of corrugations and leads to two campgrounds, one for group camping and the other suitable for caravans. 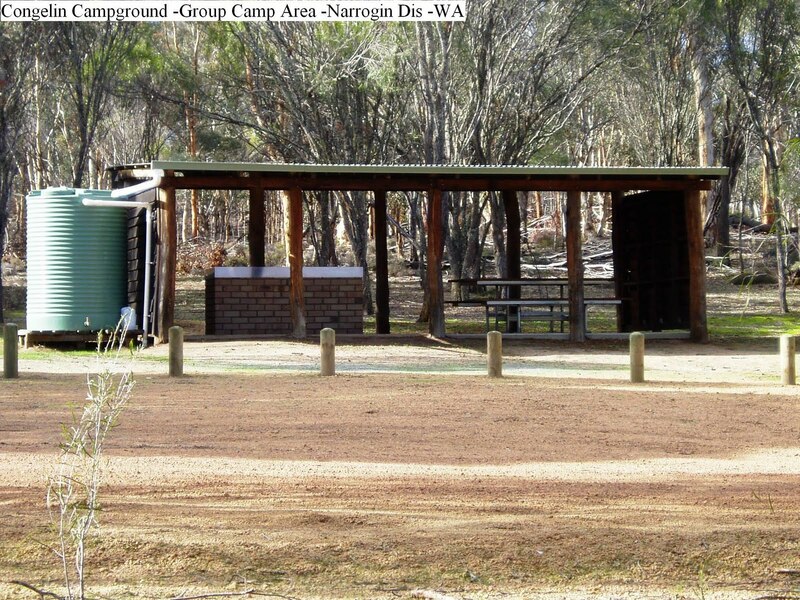 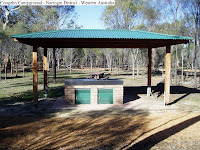 The sites are individual, level, shaded and open with tables and circle a shelter shed with a gas BBQ. 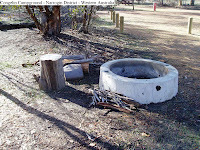 There are camp fire places at each site and firewood is supplied. 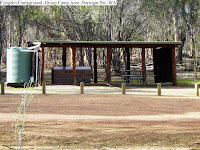 The toilets are clean, long drop, with toilet brushes and buckets. 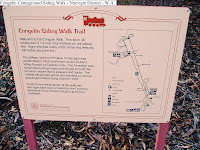 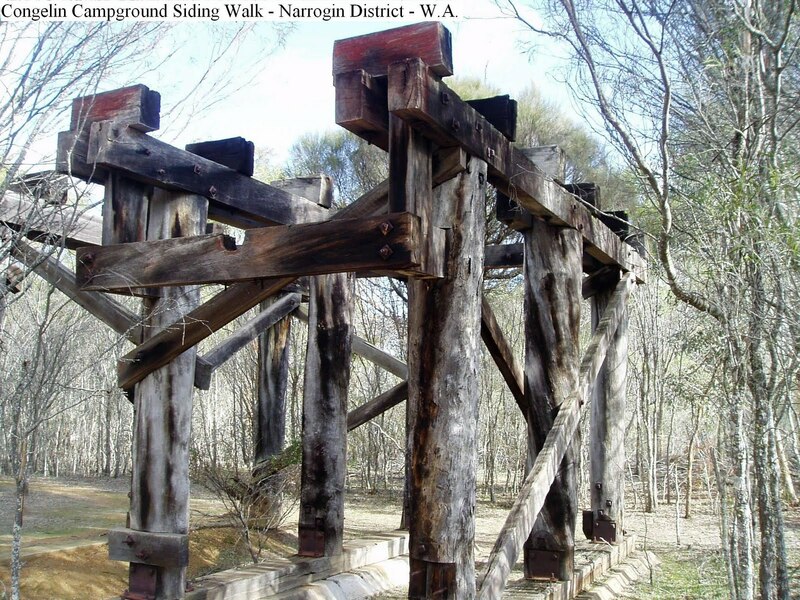 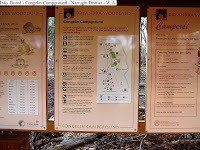 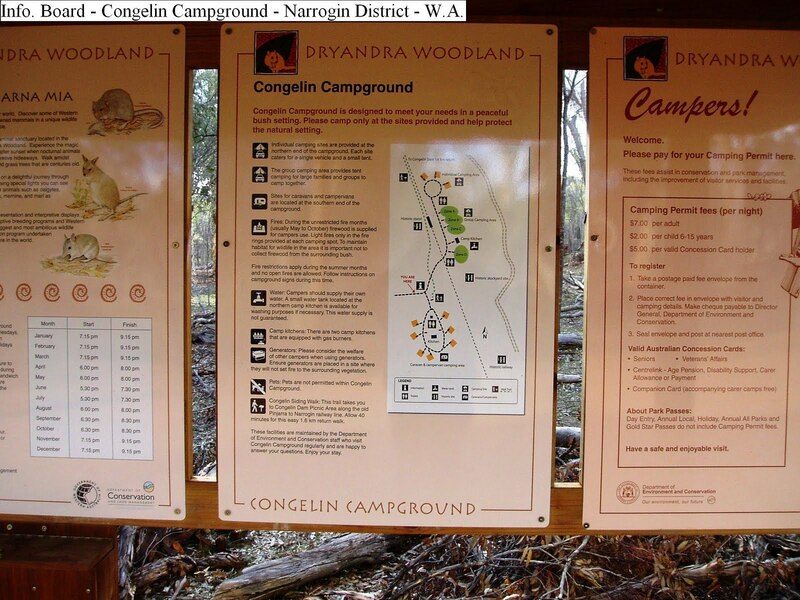 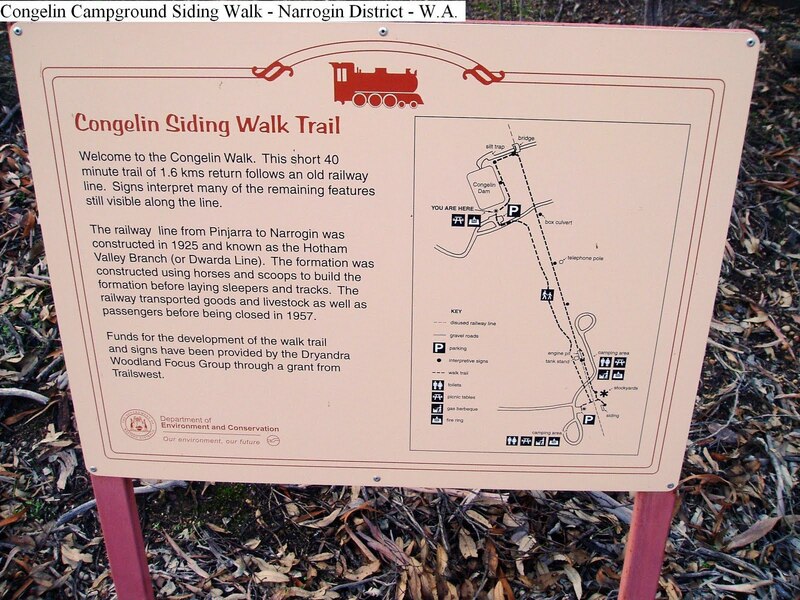 There are several walking tracks and one follows an old railway line with information signs and good photo opportunities at various locations along the track.